Gold has long been one of the most valuable metals on Earth. It has been highly valued by royalty throughout history, and it is still valued today. Because gold is a limited resource, meaning there is only a certain amount of it in the world, this only increases its value. It is now seen as a highly stable currency, which makes it a prime investment opportunity. But where does gold come from, after all? After the Big Bang occurred, there were only three elements: hydrogen, helium, and lithium. Since gold is not made of any of these elements, and instead is its own element, where did it come from? The current theory involves a neutron star collision: a large abundance of gold and platinum has been observed in the electromagnetic spectrum of a neutron star collection, which would explain how gold came to Earth millions and millions of years ago. Where Is Gold Found in the World? You might be asking yourself, “Where is gold mined in the world?” Gold can be found all over the world in mines and in waterways. Some of the largest gold mines are in South Africa, the United States, Indonesia, Australia, and Canada. There are two categories of gold found in the world: primary and secondary. Primary gold is found in rock formations, and when a large amount of it is found, it can become a gold mine. Many times, gold found in rock formations is found alongside other precious minerals such as silver or quartz. Secondary gold is found in small waterways that have run through these rock formations and carry small nuggets or flakes along with them. As the water carries the gold along, it settles along the bottom of the waterway and is covered by dirt, silt, and sand. The gold can then be panned and collected, as during the California Gold Rush. The largest gold mine in the world, currently, is in the Witwatersrand basin in South Africa, which has produced a large amount of the world’s gold. Gold has been mined in the UK since the time of the Romans. Peak production of gold was between 1860 and 1909, when around 3,500 kg was found. The largest concentrations of gold in the UK are in Scotland, North Wales, and southwest England. Today in Northern Ireland, for example, there is an estimated 15-20 million ounces of gold (worth something around £11 billion) in a 30 mile gold trend at Clontibret in County Monaghan. Also in Cornwall, the South Crofty mine near Camborne transformed from an extremely lucrative tin mine to a gold mine when traces were found via exploratory drilling. Scientists believe that this gold mine may be more gold-rich than some of California’s most famous mines. Besides gold mines, once in a while large stashes of ancient gold coins from the Romans are found at sites around the United Kingdom via metal detection. No matter where it is found, the UK, as many other places in the world, is rich in gold and other precious metals. Ensure the safety of your investments with our certified storage solution. 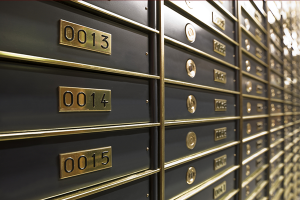 We offer gold and silver storage with London Silver Vaults. Watch gold, silver and platinum market price changes in near real time. All the info you need to help make the best portfolio decisions.